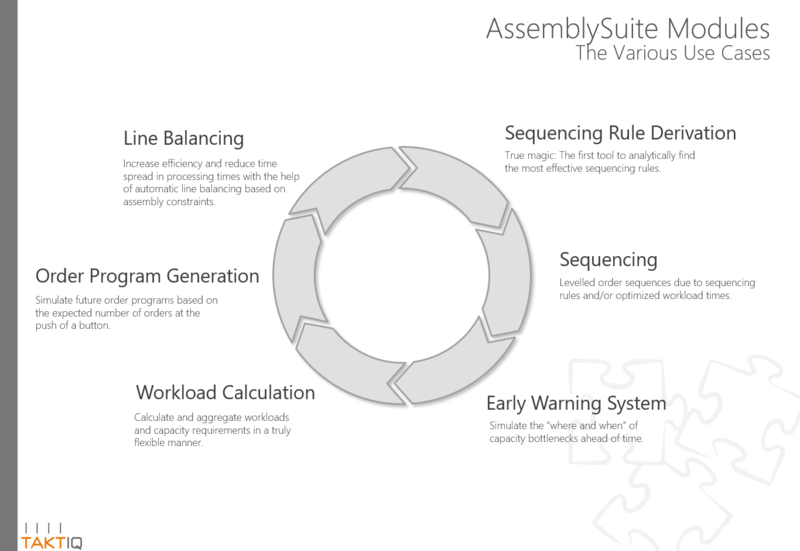 The AssemblySuite changes the way companies plan and control complex production processes. 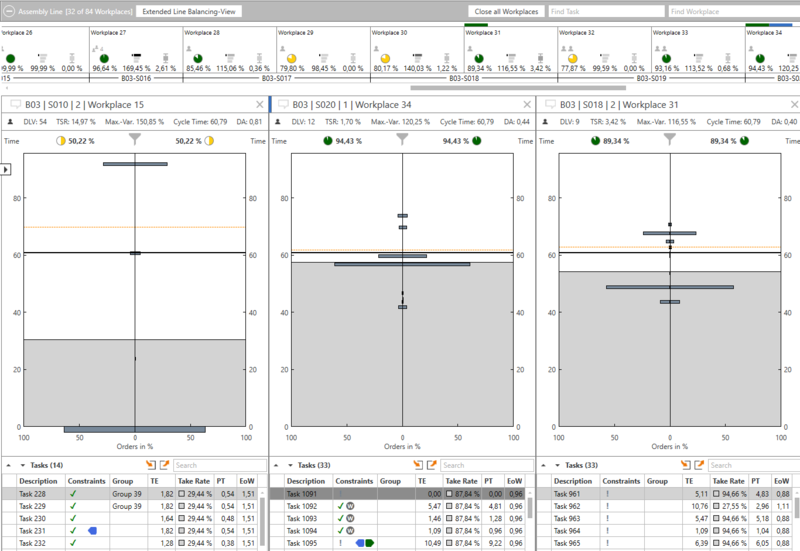 The software package offers worldwide unique features for the optimization of clocked serial productions focusing on line balancing, order sequencing and the program planning of orders. Increased time spread, idle times in the assembly process, decreasing utilization – The steadily increasing number of product variants and special equipment has puts many companies in a precarious position. Short-term bottlenecks have to be squared with expensive line shutdowns and floater operations. The AssembySuite is a module-based software that consists of different modules that include multiple application components for particular planning problems. All components can either be used individually or can be combined.